Nature calls one to kill or be killed. The curious caveman discovered the joys of animal protein in what would have eaten him and that put the hunter before the gatherer in the social order. Surviving into the new millennia has done nothing but intensify his taste for meat, what with the variety of cooking methods, sauces and treatments — never mind that we all now roll the word quinoa off our tongues and can keep a straight face. It could not have been more easy for the white-collar, buttoned-down carnivore of today. This island is rife with permutations of meat preparations on every corner but none have recently been more exciting, if not spot on along with its name, as Carnivore. A grey exterior bearing their white signage opens up into a stark, no-frills space. The same logotype, Carnivore, is echoed above a woodcut-syle illo of a wild boar on the glass door. A bar borders the open kitchen and grill space. Meat cut charts of animals adorn the mezz wall. The most menu-knowledgeable local restaurant staff I’ve met to date made ordering a breeze if not for the want to try everything on the menu. There was not much wait time between ordering and the service. Our dishes were set in front of us with much caution for heated plates — a wonderful touch to help keep the food warm without going to the sizzling plate or stoneware extreme. The Carnivore Burger had strong but welcome bite from the mustard that went well with the zippy Lilo-an Romaine lettuce. 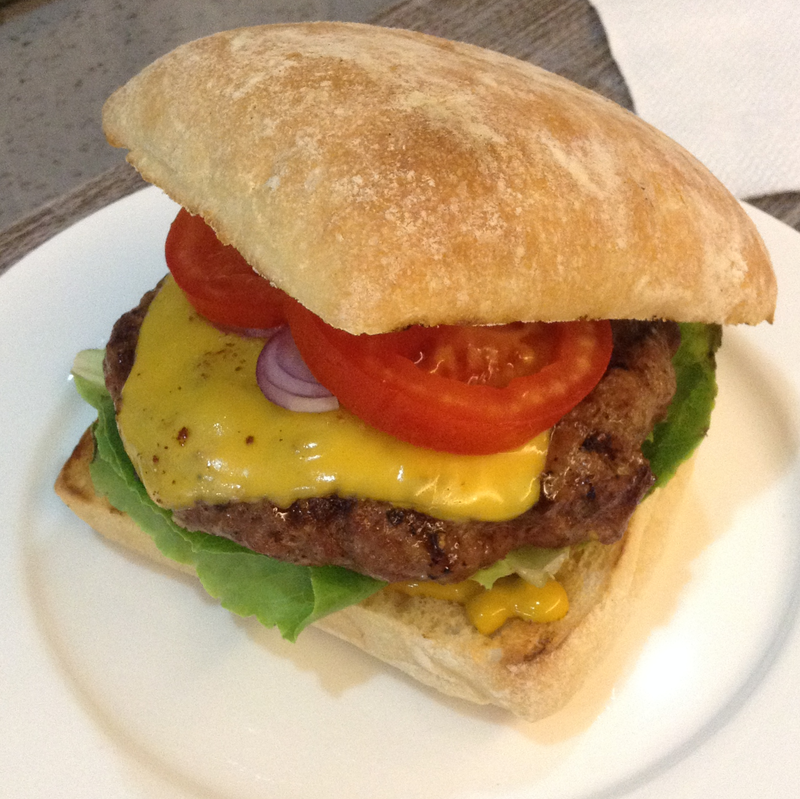 Fresh, red tomatoes and white onions added some acid and pungency to the mouthful before giving way to the lightly house-smoked Cheddar cheese and the well done Bukidnon Kitayama Wagyu and US Angus beef patty. Noticeably fresh lettuce, cucumbers and alfalfa sprouts were showered with a light vinaigrette in the House Salad as a rather generous side. 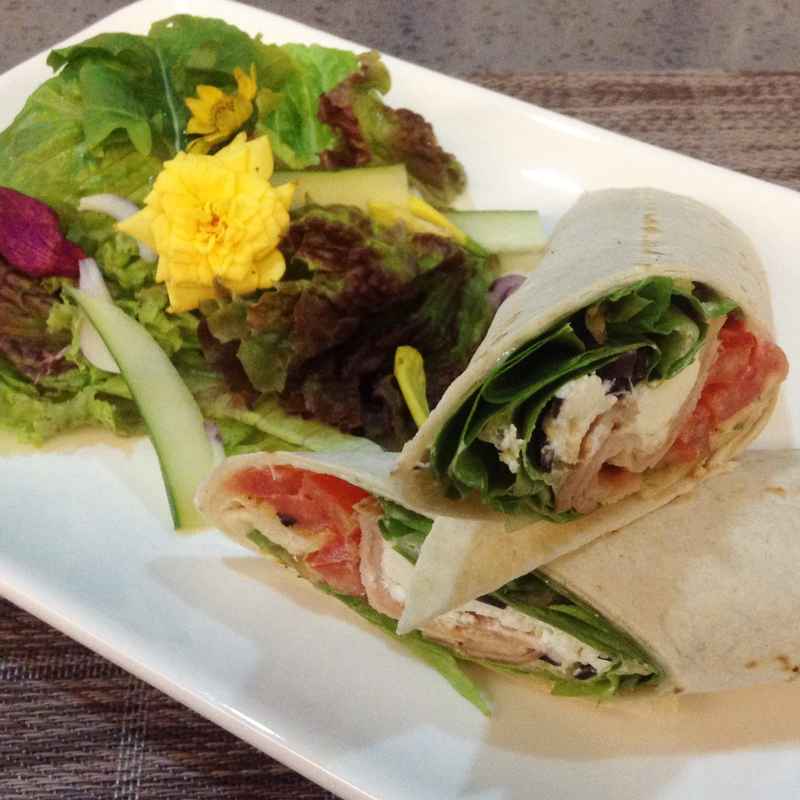 Lean Turkey Ham meets creamy-crumbly Goat Cheese in an artisan flour tortilla in the Greek Salad Turkey Wrap. All-natural Romaine Lettuce, Salad Tomatoes and Olives come in with vegetal nuances of bitter, tart and earthy marrying the mellow pungency of the Garlic Aoili. Their best-selling Pork Porterhouse has already undergone a reinvigoration from the first incarnation with fiery Gochujang rub to a sexier 9-hour Bourbon Demi. 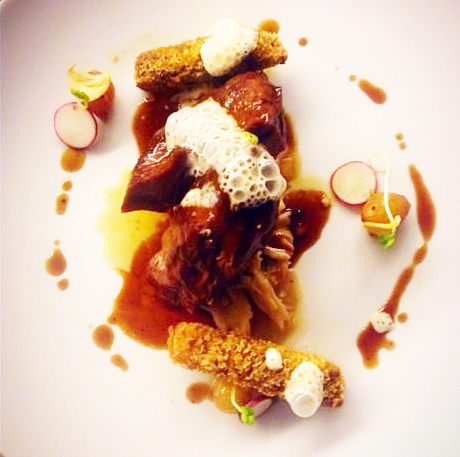 The porcine sweetness of the succulent Asturias Pork slab is echoed by Spiced Granny Smith Apples and Apple Puree. An Edible Mum Salad accompanies for unconventional greens. 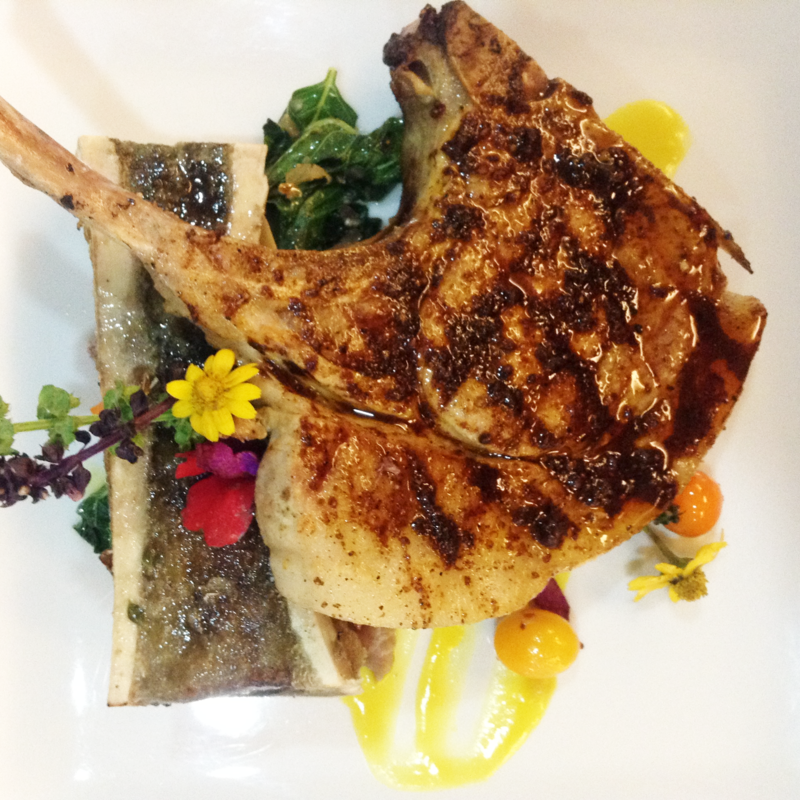 An Asturias Pork Tomahawk is paired with local Kitayama Wagyu Beef Bone in the cheeky Chop and Marrow. The pork is seared to a juicy medium well then finished with a special house rub allowing great appreciation of the natural meat flavor. The bone is cut crosswise for easy spoon access to the marrow and done only with a roasting and a coarse-grain finishing salt that brings out its buttery richness. Molecular Gastronomy comes into play in their Sous Vide Wagyu Beef Cheeks where Local Wagyu Beef is cooked 36 hours en sous vide then quickly finished on the grill. 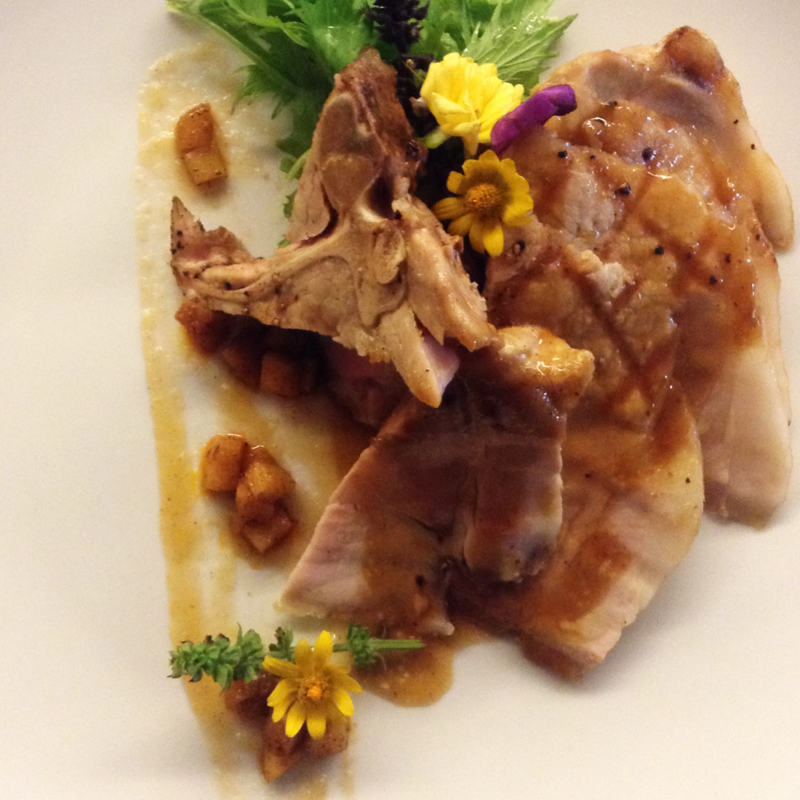 A Demi Glaze compliments the red meat flavor balanced by the earthiness of Organic Oyster Mushrooms and the pungency of Garlic Confit and Garlic Foam. Man has long set down his flint weaponry for the commercial cleaver. While we no longer hold rank or revel in the kill and the me-man-me-eat-meat trope would invite much debate, no man would deny finding pleasure in a hearty steak. Meet meat. Meet Carnivore. Carnivore is located at Unit 6, The Gallery, Mabolo, Cebu City. Open Tuesday-Thursday 11AM-9PM, Fridays and Saturdays 11AM-10PM, Sundays 11AM-9PM. Closed on Mondays. This entry was posted in Uncategorized and tagged beef, burger, carnivore, cebu, foodporn cebu, hamburgero, wrap, zee lifestyle. Bookmark the permalink.